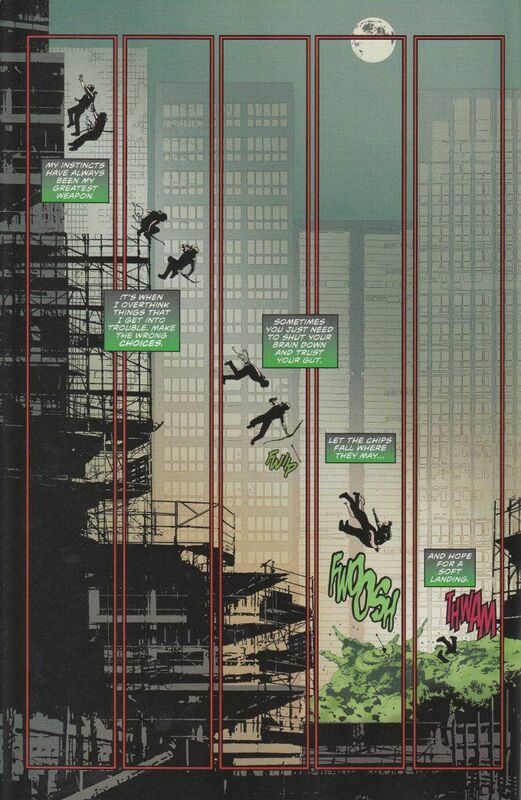 Green Arrow #19 is an action-movie captured on the printed page. 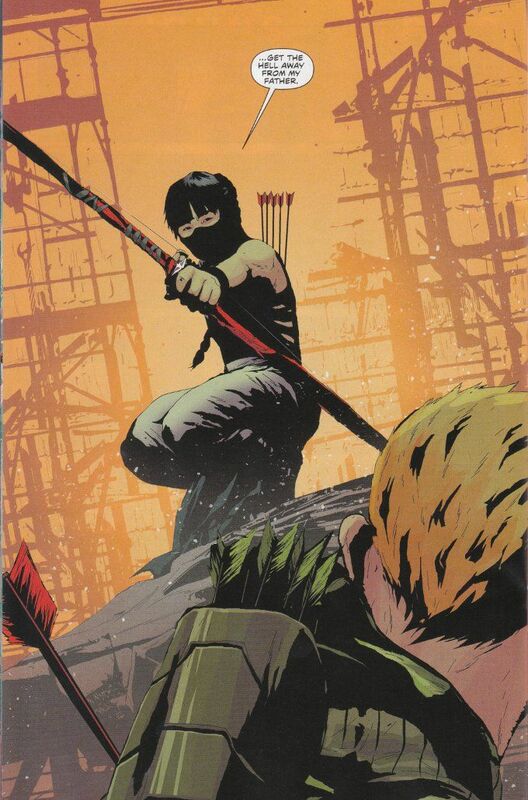 Writer Jeff Lemire manages the neat trick of presenting an issue that is basically one extended fight scene between Green Arrow and his new archer-enemy Kodomo while still presenting relevant exposition regarding asurprising revelation. Namely, that Oliver Queen was being prepared for some grand destiny by his father besides running the family company and Oliver's father was much more than a simple billionaire industrialist. Lemire has a perfect partner in artist Andrea Sorrentino. Sorrentino captures the pacing of Lemire's scripts eloquently, using unique tricks like panels overlaying a static background to show the progess of the fight. Sorrentito also produces some poster-worthy images, such as the splash-page where Kodomo's young daughter enters the fight. Jeff Lemire and Andrea Sorrentino are slowly but surely becoming one of the comic world's finest teams. Through that partnership, they are transforming Green Arrow into something unlike anything we've ever seen before with the character of Oliver Queen yet still familiar enough for it not to seem completely out of place. If you haven't started reading this series already, track down this issue as well as Issues #17 and #18 before it is too late. You don't want to wait on the trade for this one, believe me!